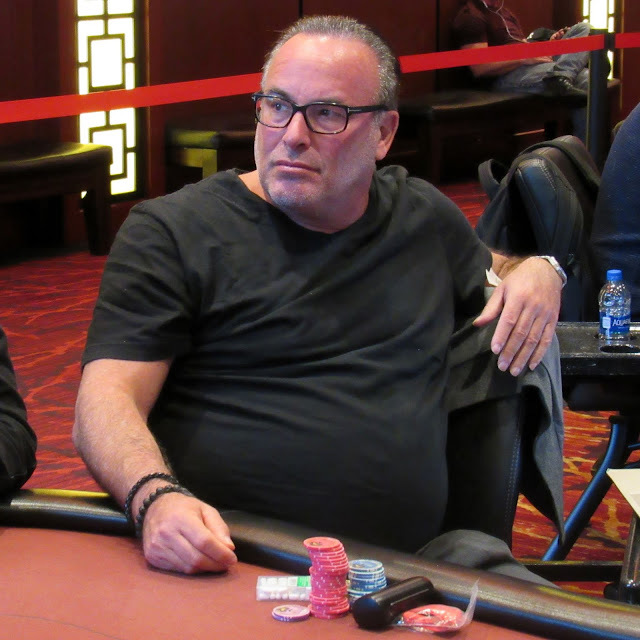 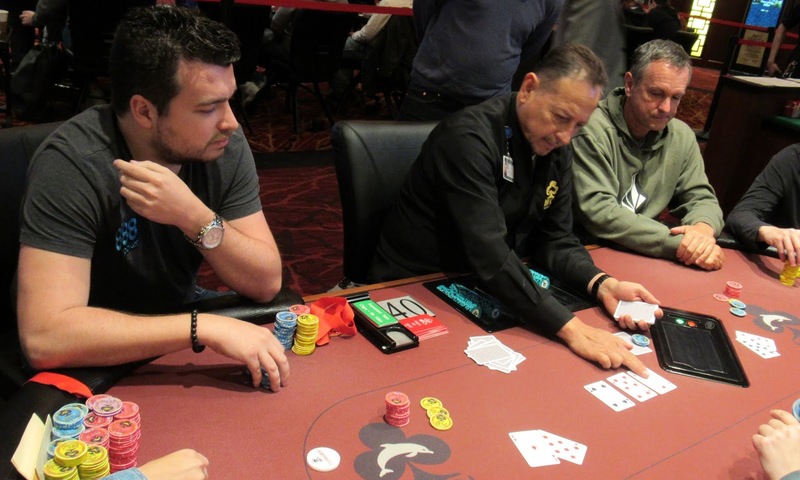 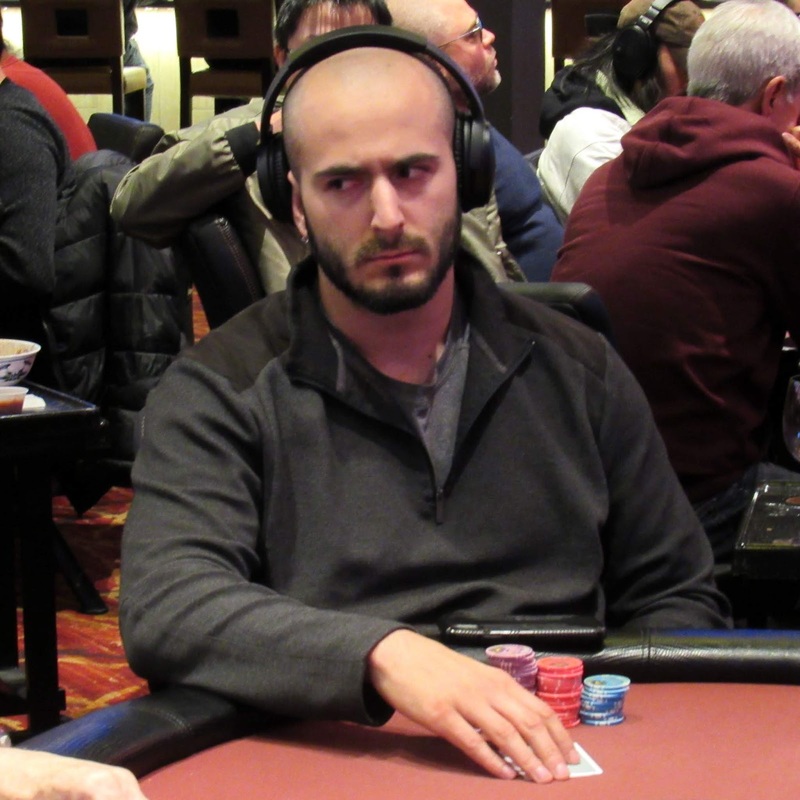 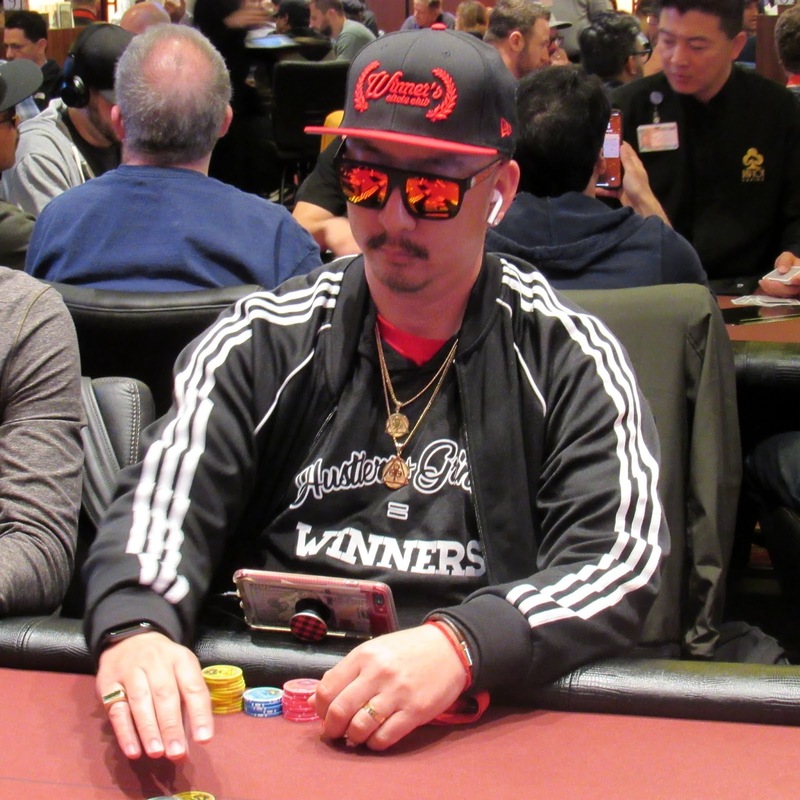 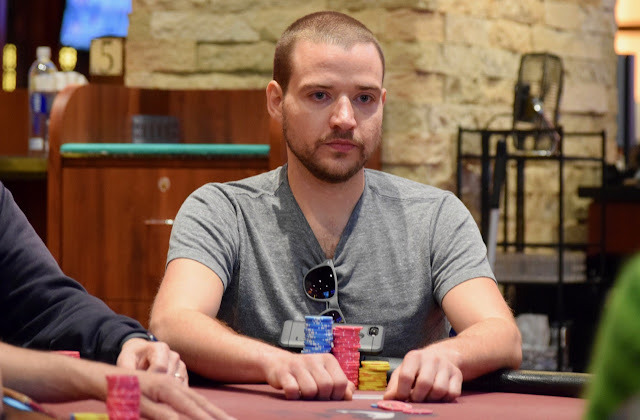 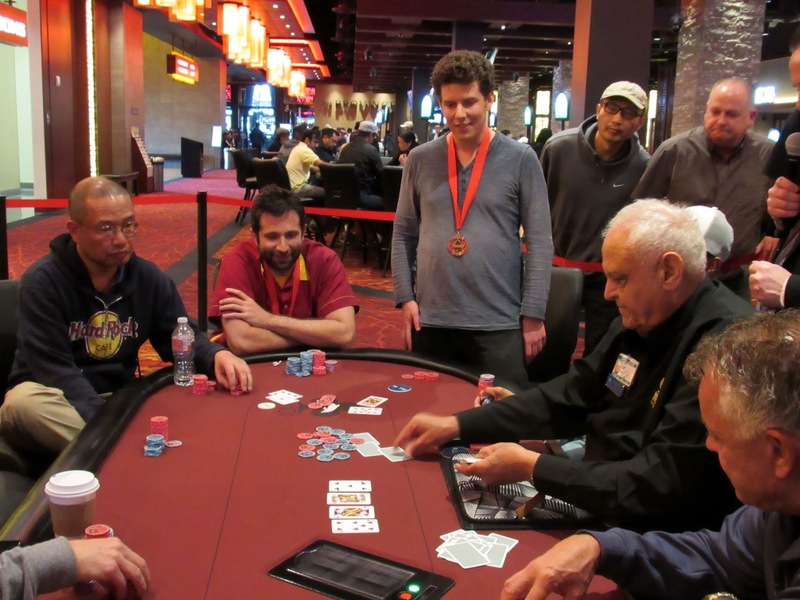 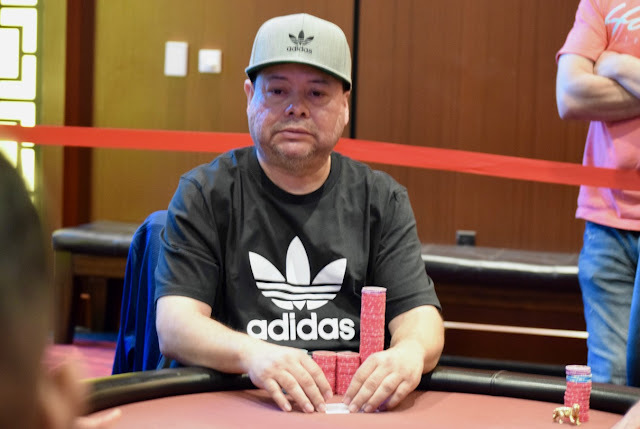 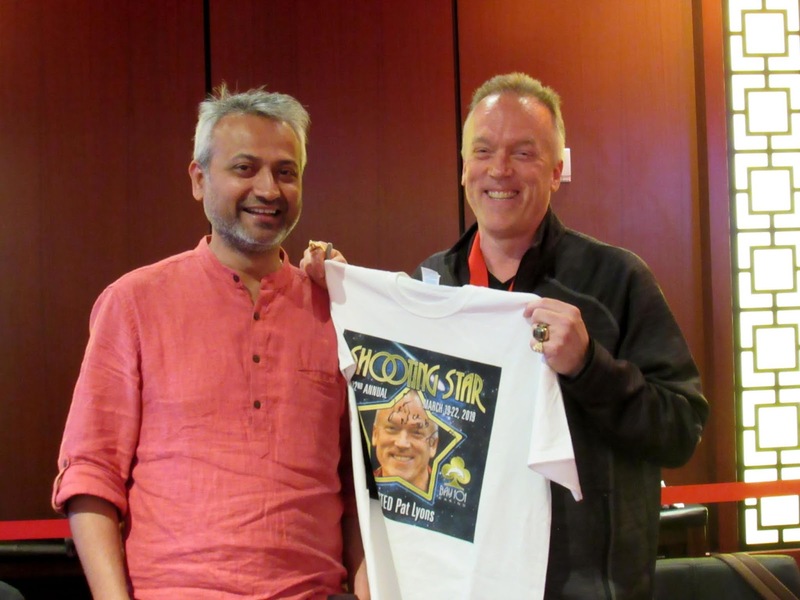 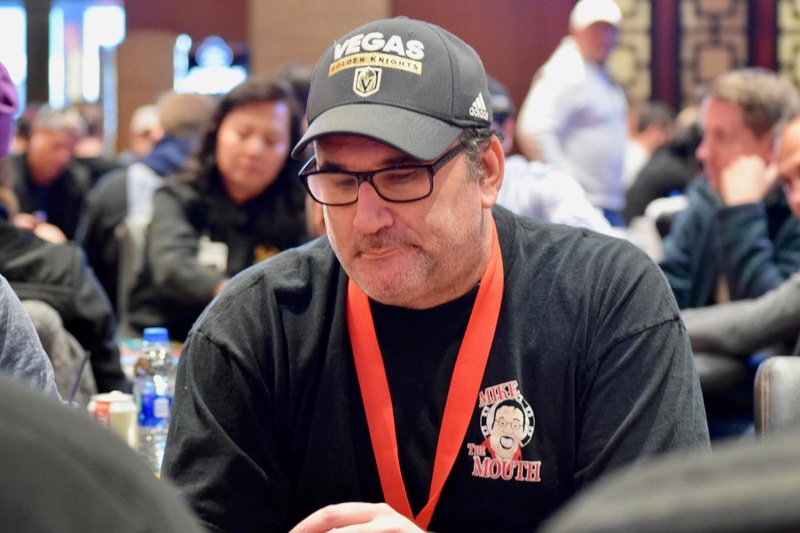 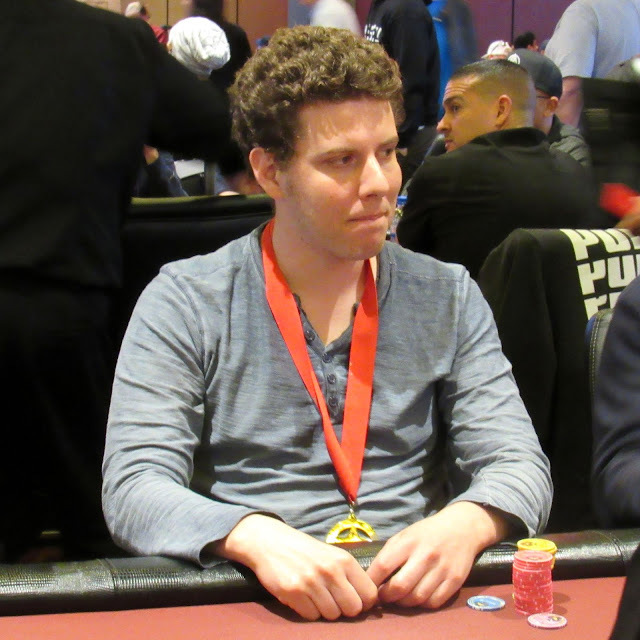 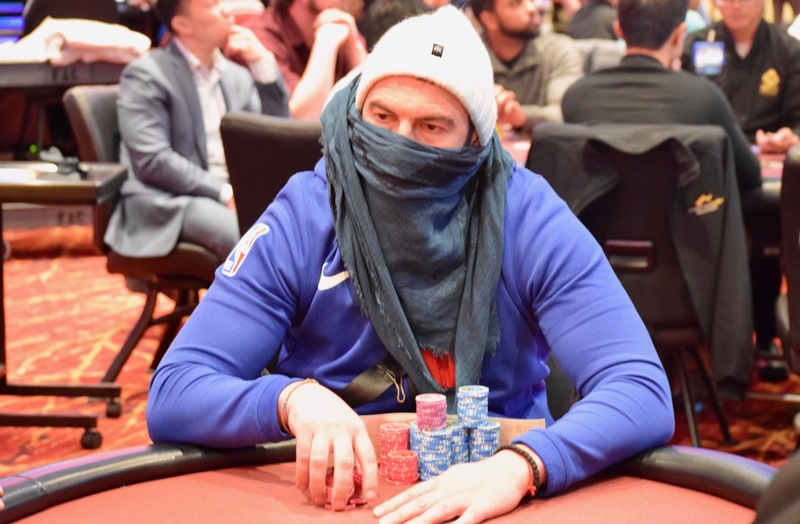 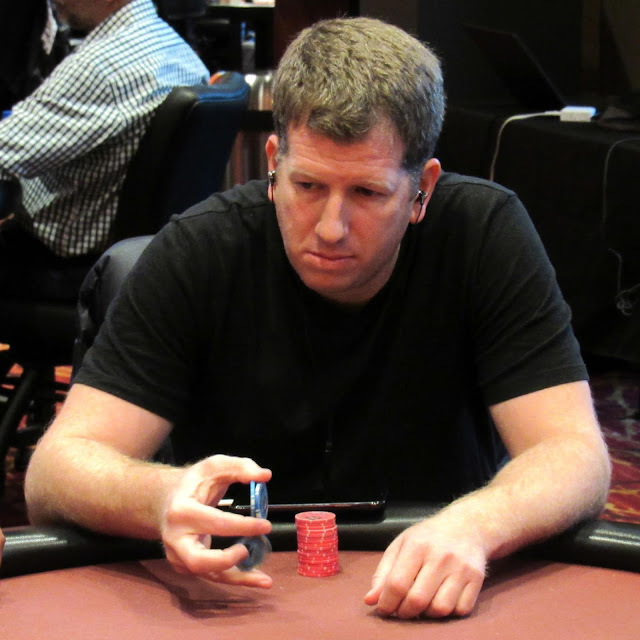 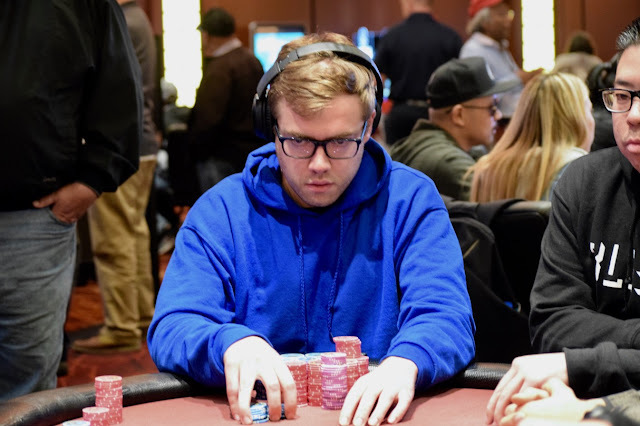 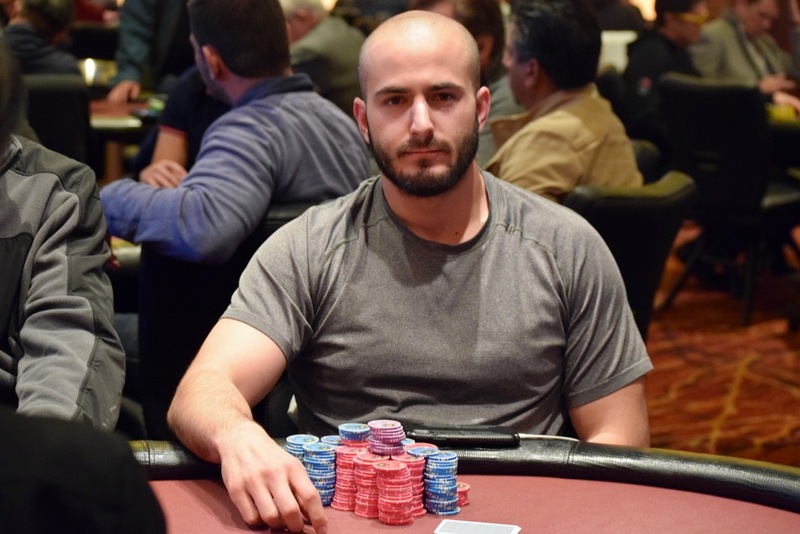 Amir Turkzadeh moves all in preflop for 110,000 from the hijack, and Shooting Star Joe Stapleton (pictured) calls to cover him on the cutoff. 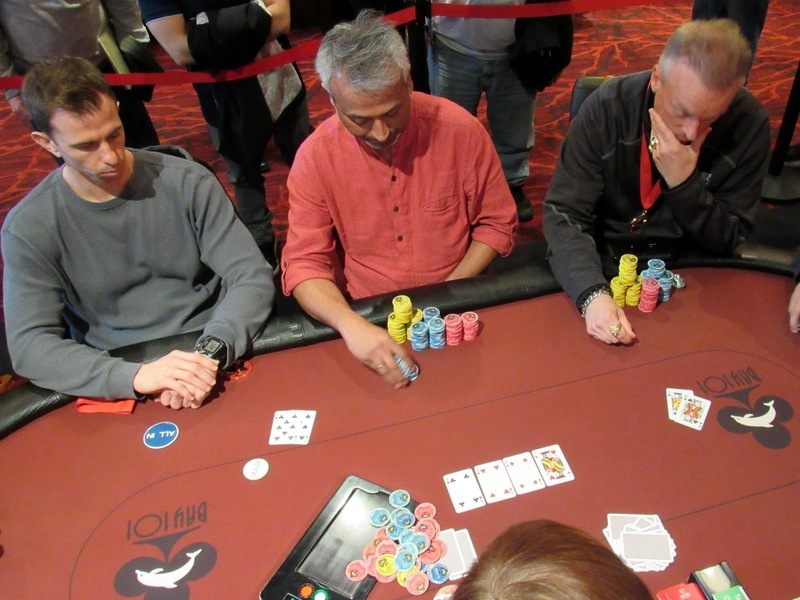 The two players then flip over their cards. 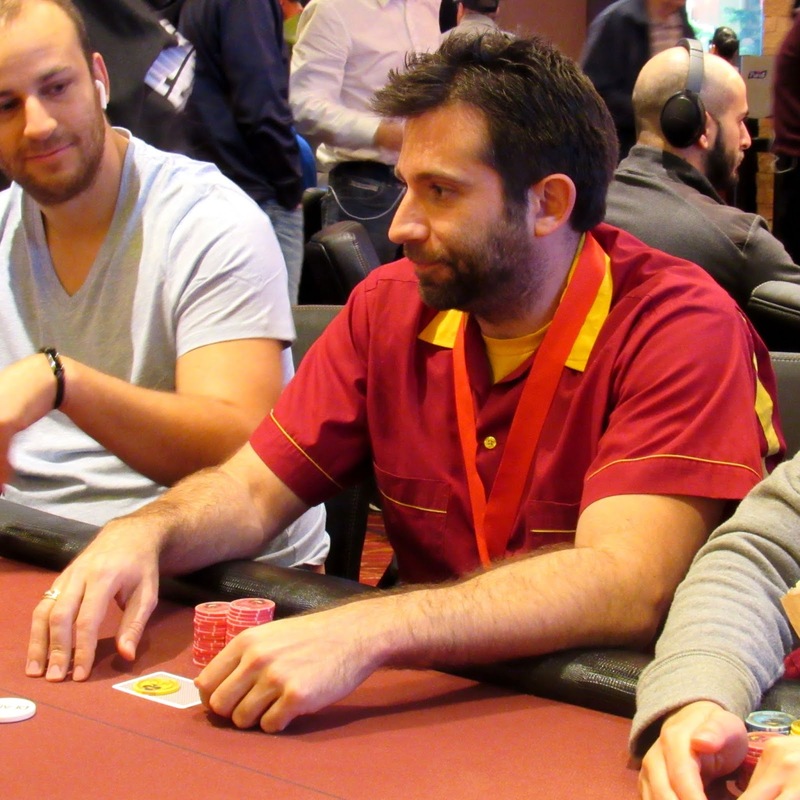 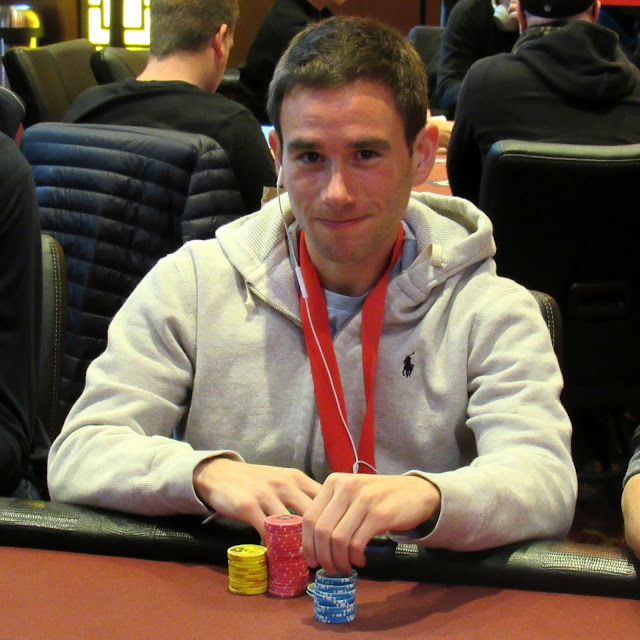 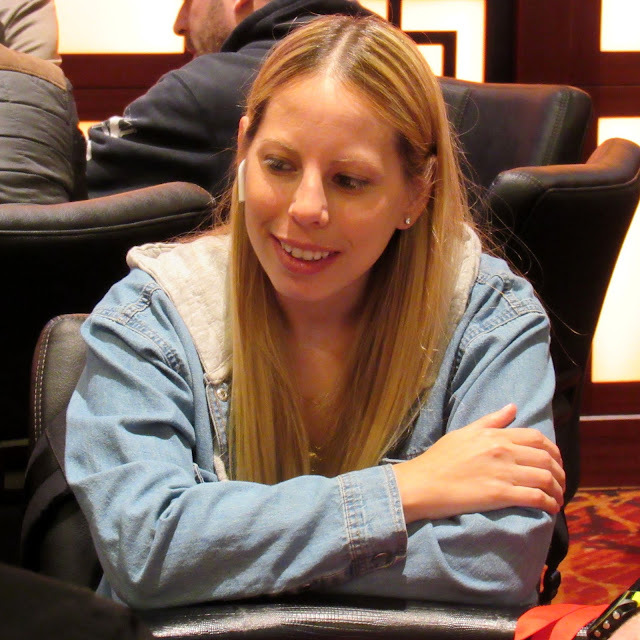 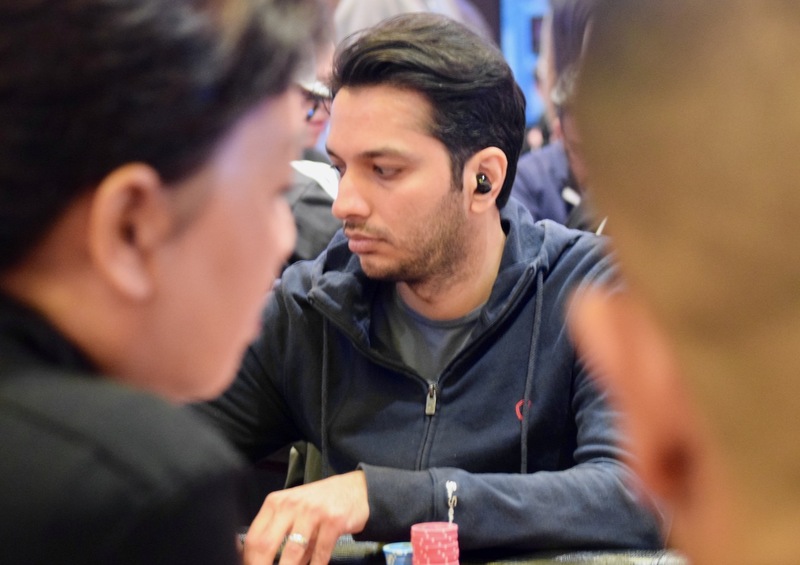 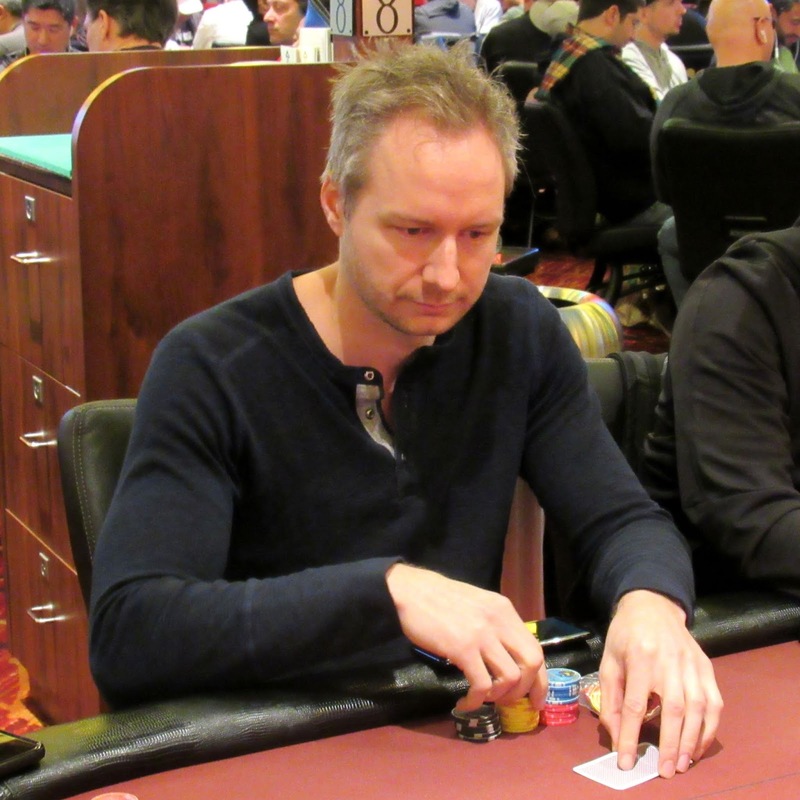 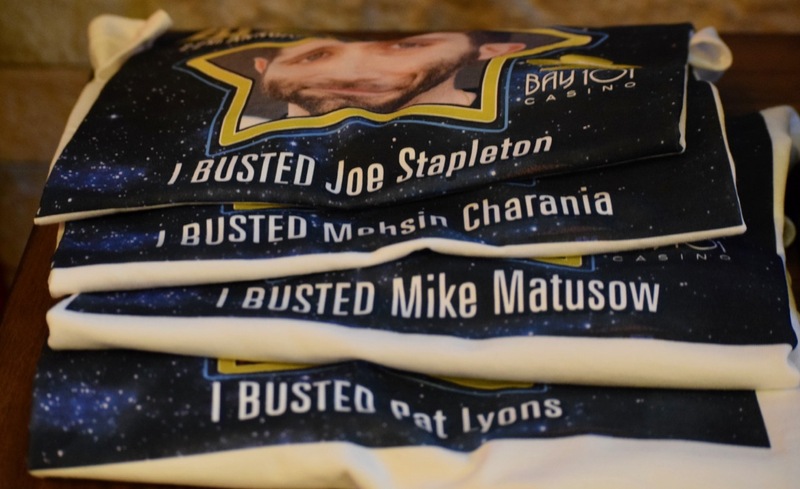 Turkzadeh doubles up to survive with 240,000, and Stapleton is down to 235,000 after the hand. 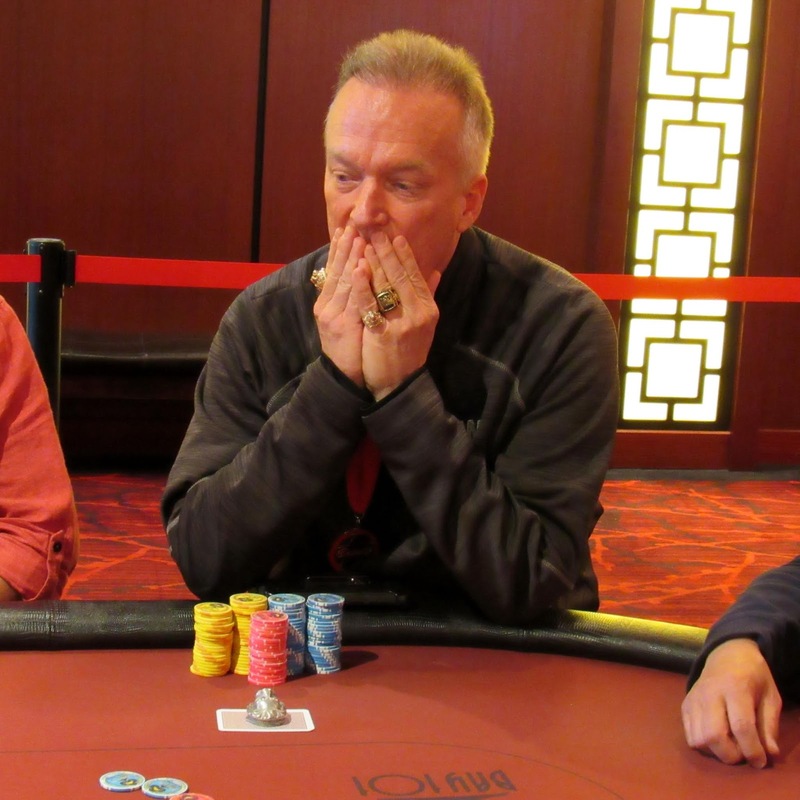 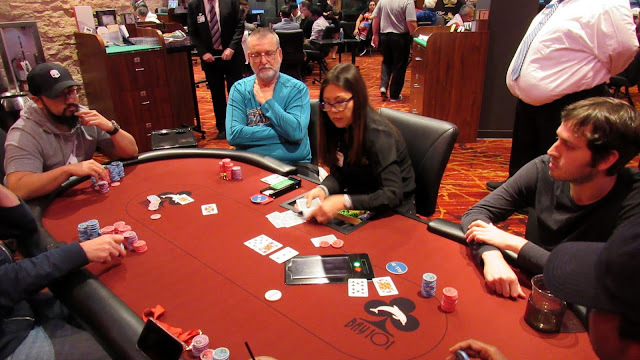 The flop reads [7c][7s][Jd] and Shooting Star Pat Lyons checks-calls a 7,000 bet from Turbo Nguyen. 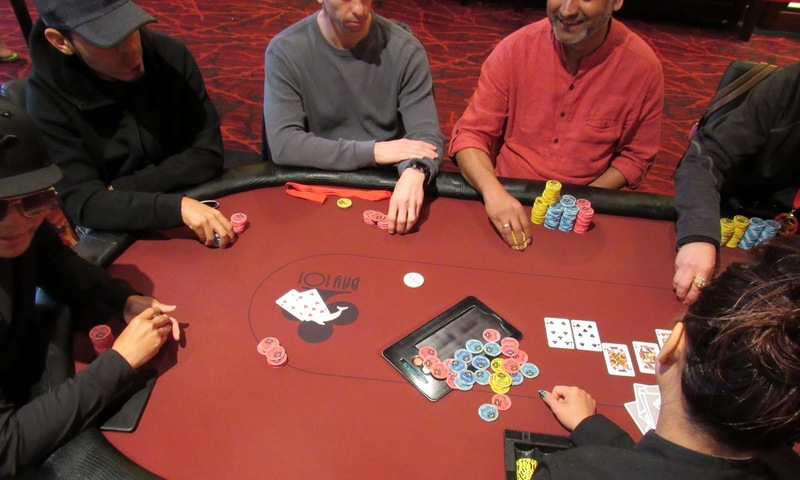 The [Qh] hits the turn and Pat checks again. 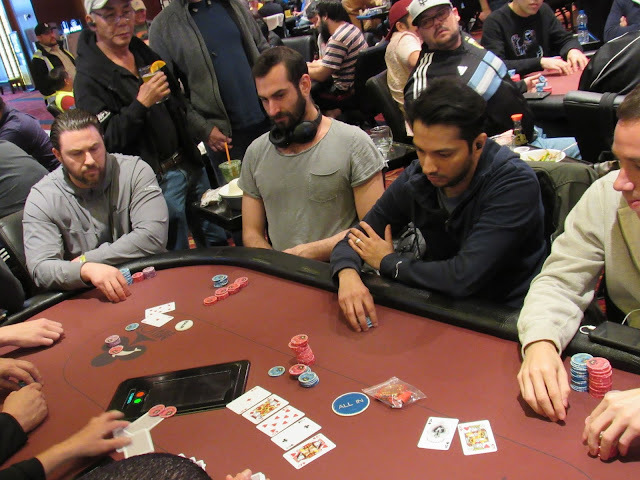 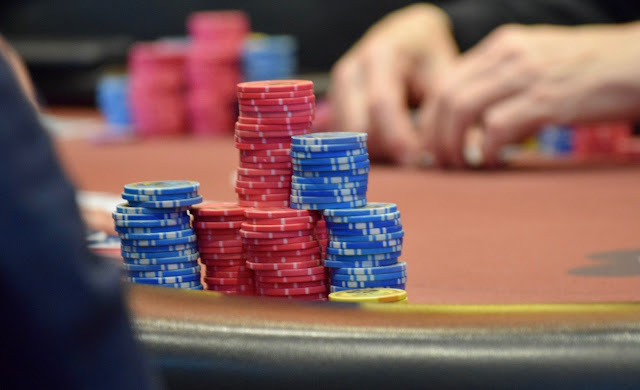 When Turbo reaches for chips, Pat pleads, "Keep it small!" 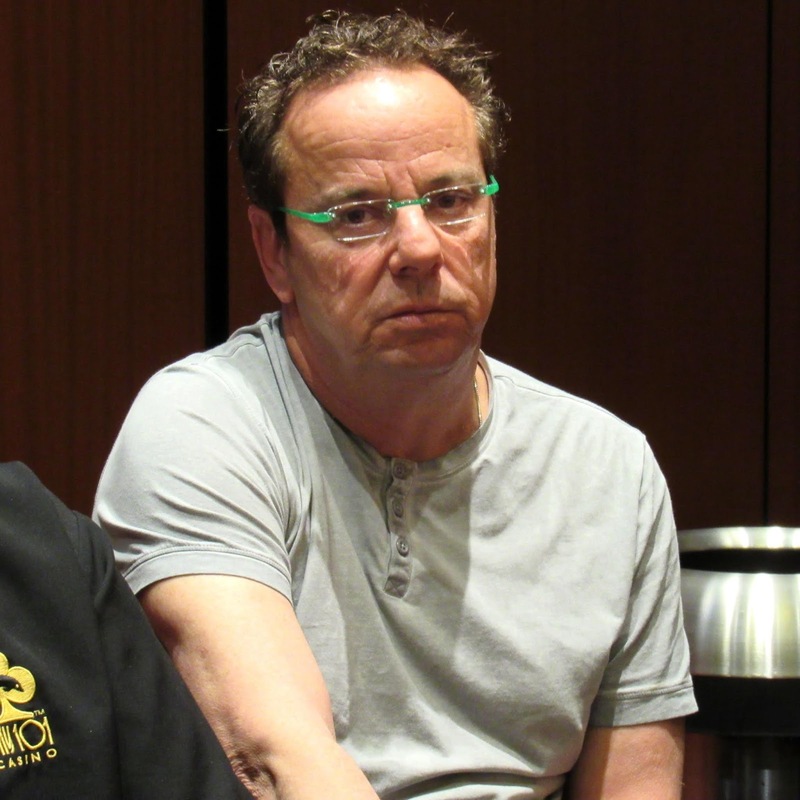 Turbo bets 15,000 and Pat beats him in the pot with three pink chips. 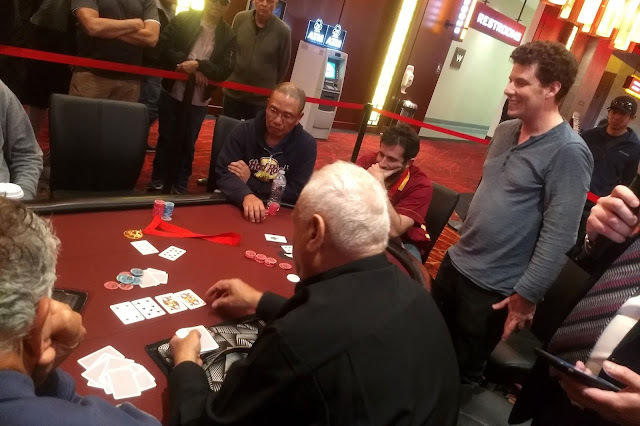 The river is the [Kh] and Pat checks one last time. 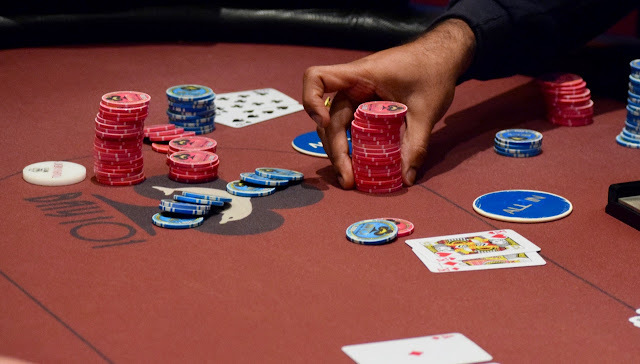 In less than one second, Turbo announces 35,000, Pat announces call, and Turbo rolls over [7h][7d] for flopped quads. 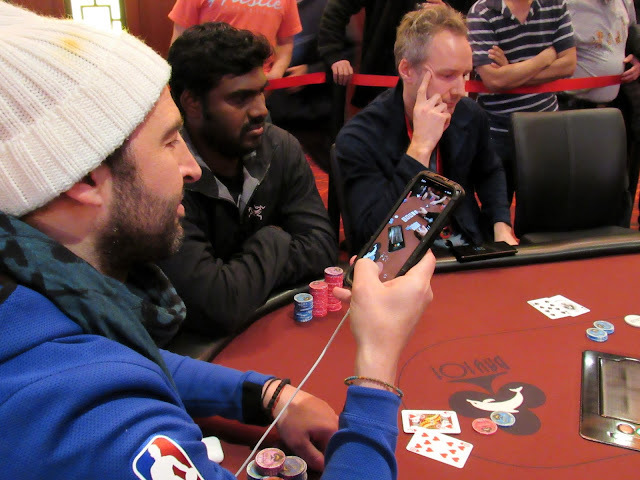 Pat can only say, "Nice hand, nice hand" to his opponent. 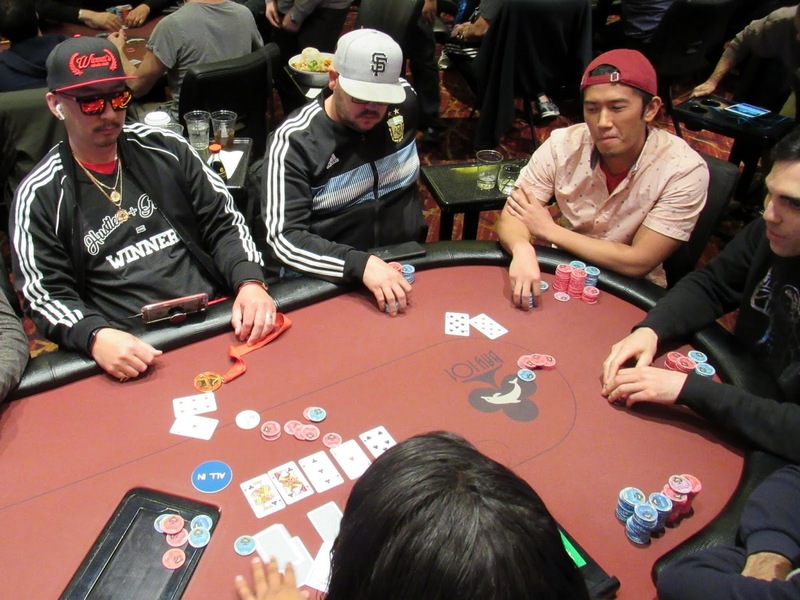 The flop reads [Kd][3h][2c] when the big blind gets all in with K-6 in the hole, and Turbo Nguyen has him covered holding [2s][2h] under the gun. 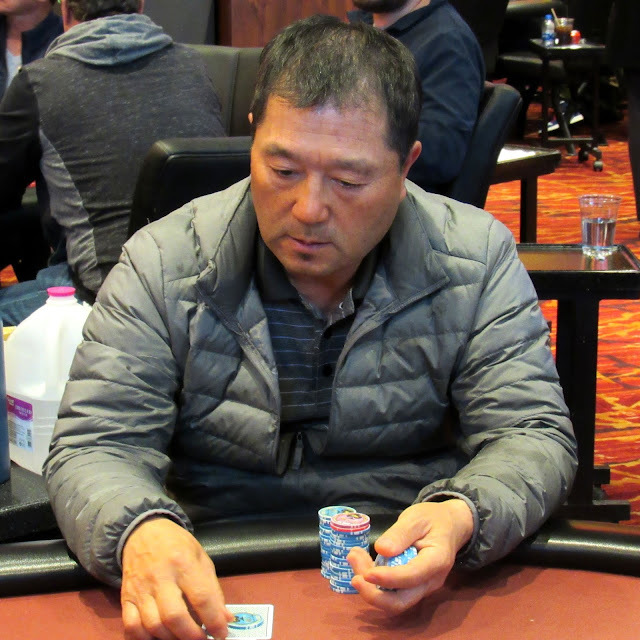 The turn and river run out [Kc][Jd], and the big blind is eliminated. 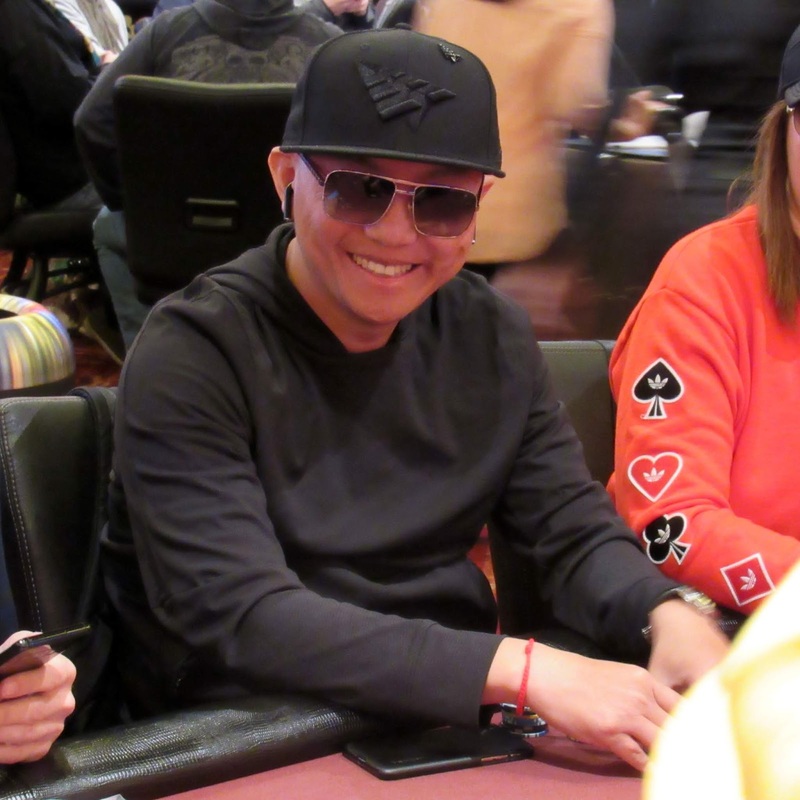 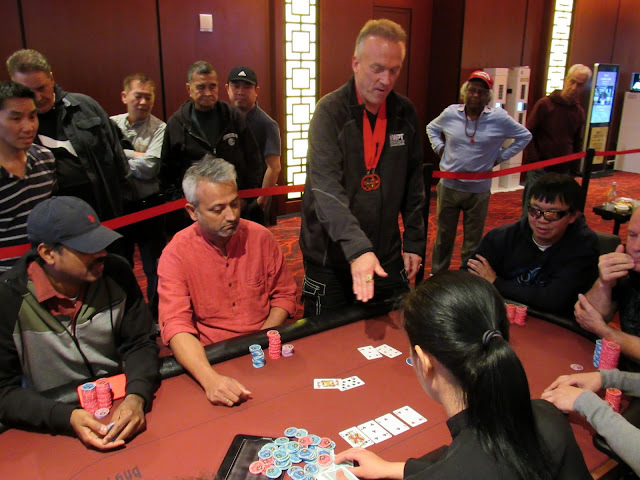 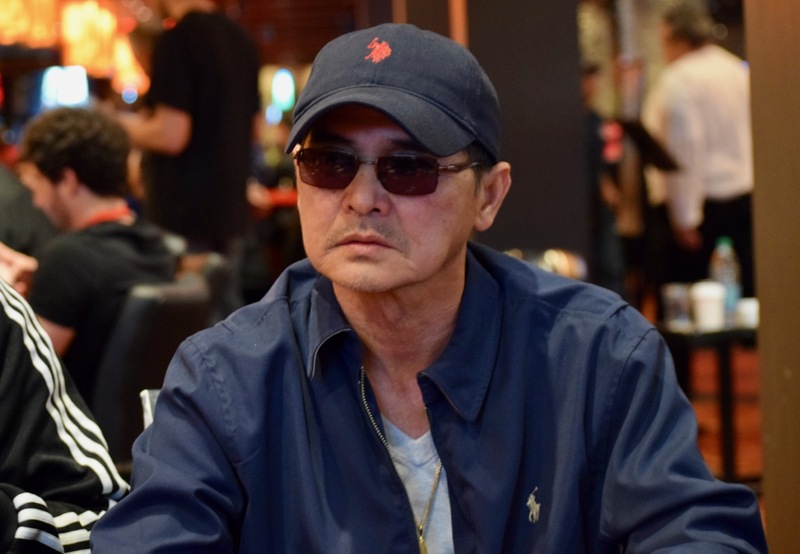 Nguyen stacks up 153,000 after the hand thanks to a full house.